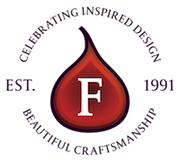 Since we opened our doors in 1991, Figura has evolved from a luxury, bespoke kitchen design company into a multi-disciplinary practice that combines furniture design and interior architecture with renovation and project management expertise. Our projects are varied and numerous, ranging from country homes a stone’s throw from our Chiddingfold studio in Surrey, to London town houses and properties abroad. Over the years, we’ve designed and created some extraordinary living spaces, and breathed new life into many an architectural gem. Each and every project has been run by a core design team who have managed every step and signed off every detail. They have handpicked the trades and craftspeople required, ensuring their skills and experience perfectly match the project requirements. And they have provided our clients with a level of service and commitment that is second to none. And this is what we can promise you. Design is a fluid, organic process. Technology can certainly help – and we utilise it to the full – but only a hand-drawn design can take shape at a pace capable of successfully accommodating every necessary consideration. That’s why every Figura design starts with pencil and paper. First, and most importantly there’s you, your property and your lifestyle. How do you want your home to work? How should the spaces flow from one to another? There’s lighting, both natural and artificial. There’s colour. And there’s time. Why time? Because we believe the best design is timeless. We want you to love the rooms we create for you not only today, but next week, next month and in years to come. Run your hand over any Figura design and your fingertips will confirm what you already know: you are in the presence of true craftsmanship. That’s because we only work with skilled craftsmen and women whose standards are as high as our own. They understand our ethos. They know that detail is everything. And they love working with the natural materials that are the heart of every bespoke Figura design. Our timber is sustainably sourced and selected by hand. We check its provenance and quality, and consider how its grain and hue can enhance our design. Our natural stone comes from our award-winning stone importers, and is chosen to suit every individual project. And we use trusted and highly skilled fabricators to bring it all together. They say the journey is more important than the destination. That's why we like to accompany our clients at every step of the way, taking care of every aspect of their project and ensuring their vision is turned into reality. So, whether your brief is to gut and renovate a substantial country house, breathe life into your family home or transform a single room, our professional and experienced design and project management team will provide you with the dedicated and personal service that reflects your needs. We couldn’t have developed such strong relationships with our clients over the years in any other way.